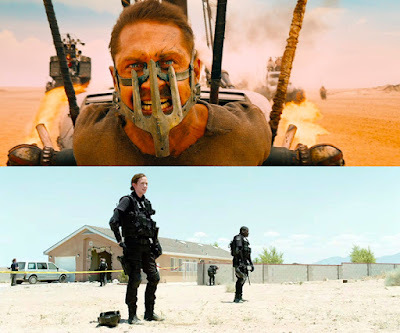 “Mad Max: Fury Road” and “Sicario” lead the pack; “Ex Machina,” “Room,” “Spotlight” land multiple nominations. The Georgia Film Critics Association turns 5-years-old this year and has released the nominees for the last year in film. “Mad Max: Fury Road” leads the pack with 7 nominations. “Sicario” landed 6, with “Spotlight” and “Room” each getting 5. “Carol,” “Ex Machina” and “The Martian” all earned 4 nominations. Georgia-lensed “Furious 7” was nominated for Best Original Song. The Oglethorpe Award for Excellence in Georgia Cinema will be announced with the winners list on Friday. A shortlist of considered films is expected to be released as well. Several of these films were found on the Georgia film festival circuit this year. “Frame by Frame,” “I’ll See You in My Dreams,” and “Love & Mercy” all played at the Atlanta Film Festival. “45 Years,” “Amy,” “Anomalisa,” “Best of Enemies,” “Brooklyn,” “Frame by Frame,” “The Hunting Ground,” “Room,” “Son of Saul,” “Spotlight” and “Youth” all played at the Savannah Film Festival. Additionally, “Frame by Frame” played at the Macon Film Festival. Winners will be announced on Friday, January 8th. Check out the full list of nominees after the jump. More information can be found at www.georgiafilmcritics.org.